This property is one of the most beautiful I have ever seen! Upon entering the property, you will find plenty of usable space with a detached shop- garage to the right of the property. 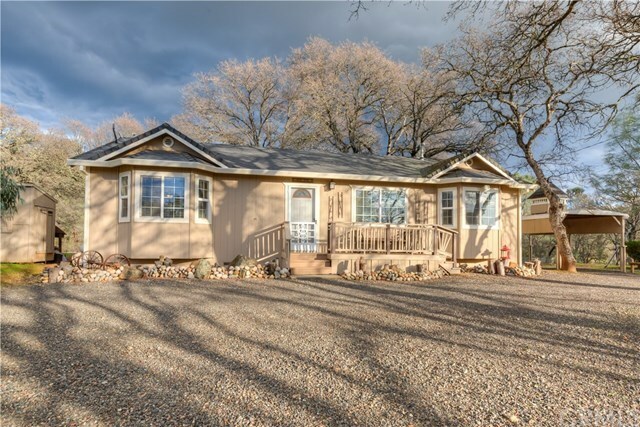 Out back, you will walk out onto your deck and be able to view the beautiful and quiet scenery of trees, foothills, above ground pool and a seasonal pond to enjoy. The property is all usable, all fenced, and is a perfect horse property or for any of your animal friends with chicken coops and fenced in garden! The home has a deck with an enclosed see-through part to enjoy raining days while being outside. This home feels so homey and comfortable inside with beautiful kitchen cabinets, granite counter tops, new A/C, newer heater, and lovely laminate flooring. The master bedroom and bath sits separately from the other two bedrooms at the other end of the house. AND!!! South water irrigation water services this property!!! Hurry! This will not last long! !